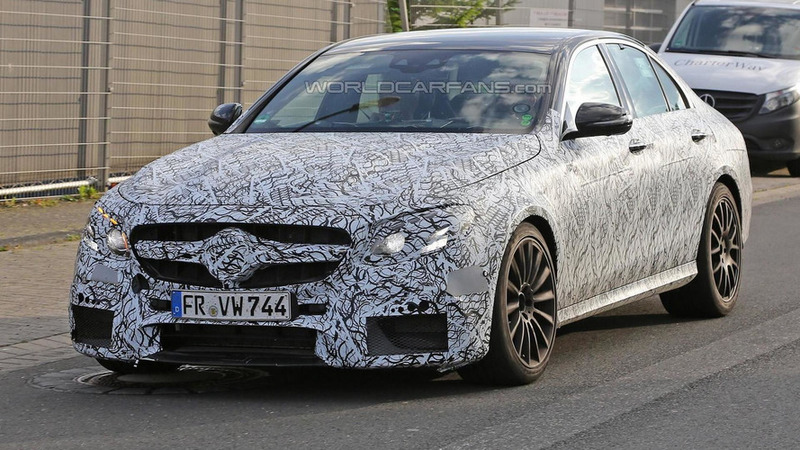 It was only earlier this week when we published a fresh batch of spy images with the 2017 Mercedes-AMG E63 and now the prototype is back for extra camera action. 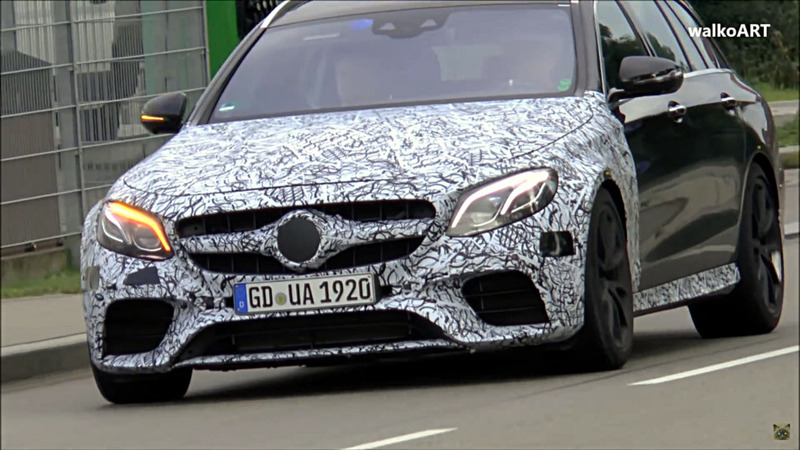 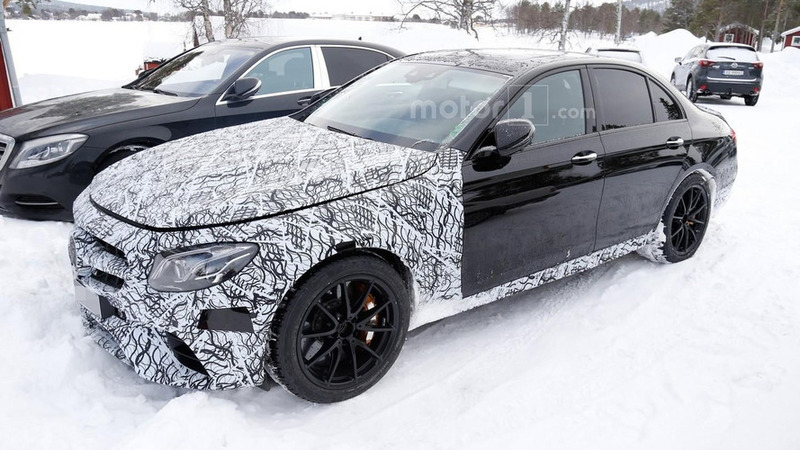 The Mercedes-AMG E63 is inching closer to production and spy photographers have managed to catch the model up close and personal. 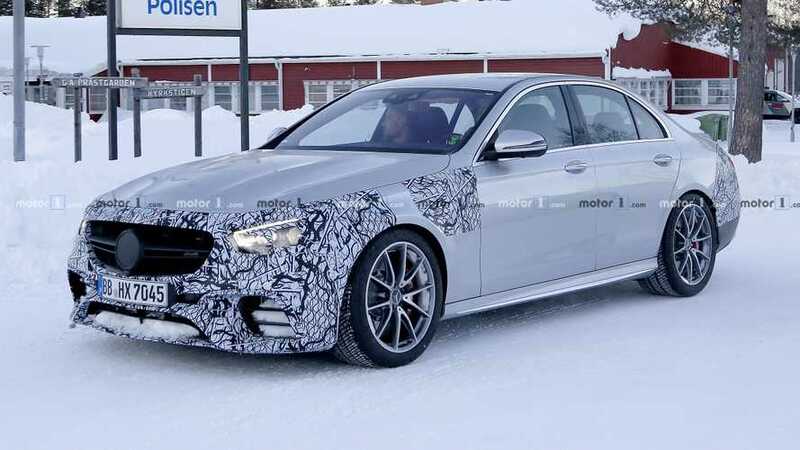 Snapped during a break from cold weather testing, the high-performance sedan has an aggressive front fascia with a single bar grille that is flanked by large air intakes and familiar headlights. 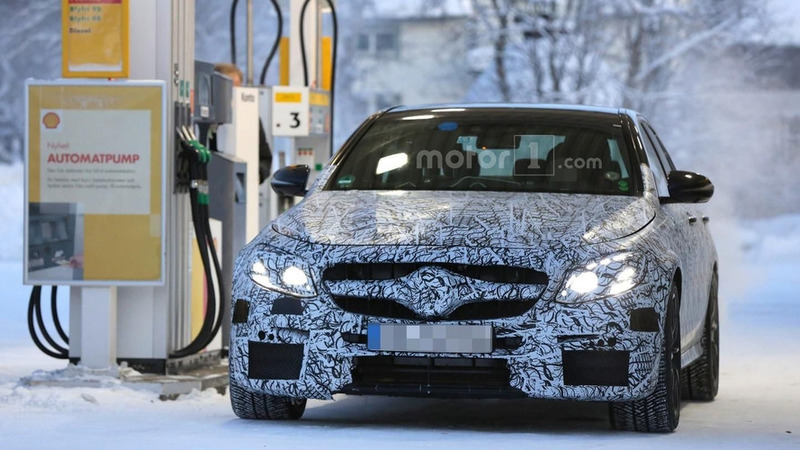 Moving further back, we can see sportier side skirts, a trunk-mounted spoiler, and a four-tailpipe sports exhaust system. 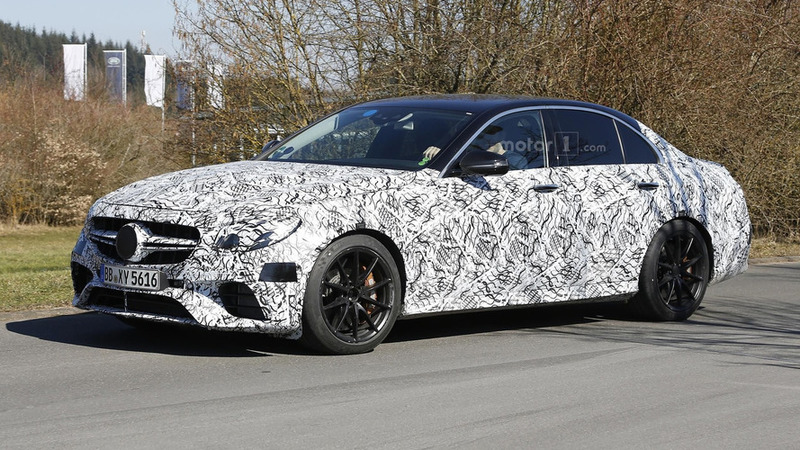 The model has also been equipped with a rear diffuser and lightweight alloy wheels that are backed up by a high-performance braking system with gold calipers. 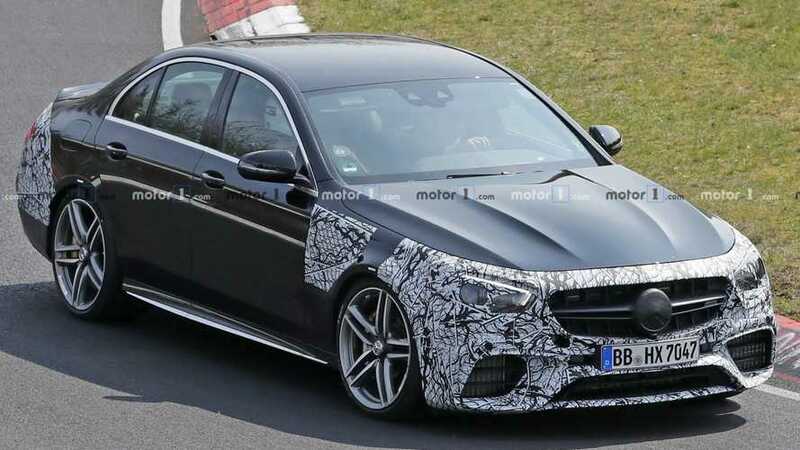 Mercedes recently introduced the new E Class at the North American International Auto Show so the company is turning its attention to the high-performance E63 variant. 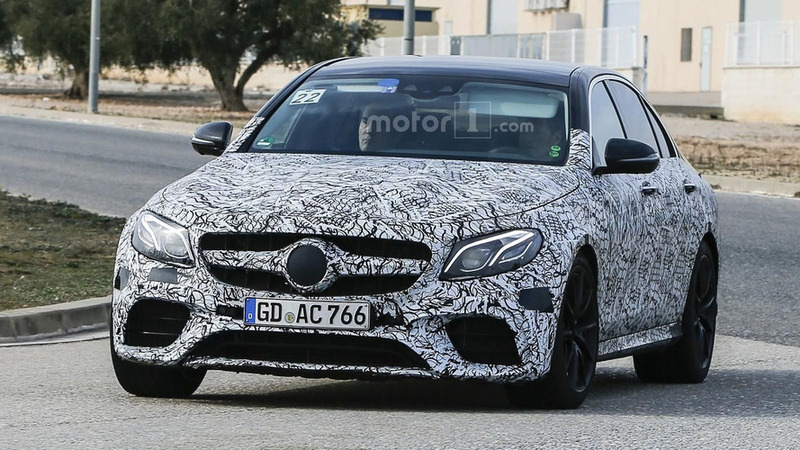 Caught undergoing testing in Spain, the high-performance model features a familiar design but is distinguished by a sportier front fascia with larger air intakes and a single bar grille. 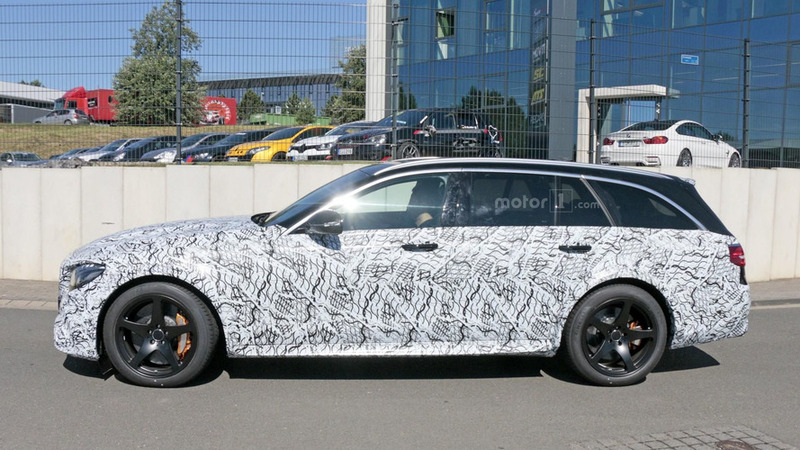 Moving further back, we can see aggressive side skirts, a high-performance braking system, a rear spoiler, and a four-tailpipe sports exhaust system. 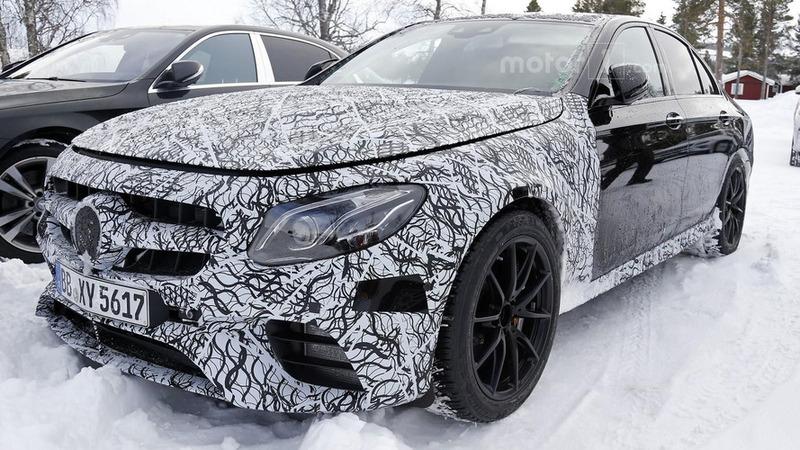 Winter testing is in full swing and the latest car captured on camera by our spy photographers was a 2017 Mercedes-AMG E63 prototype. 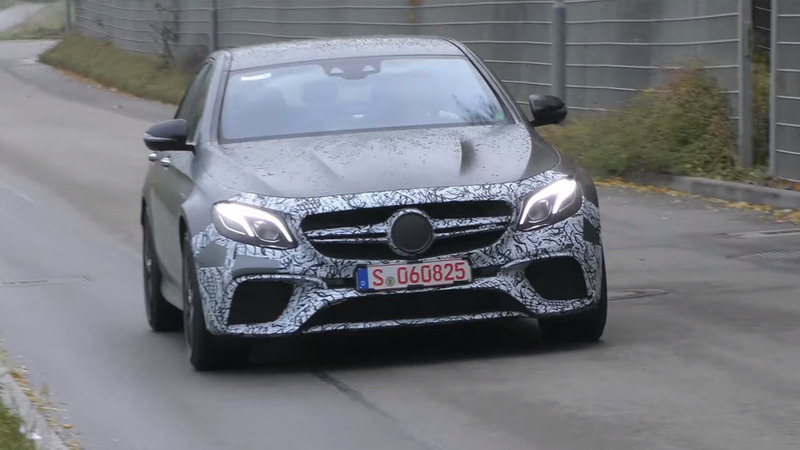 Mercedes-AMG’s test drivers were at the Nürburgring recently to put the next E63 through its paces and make all the necessary adjustments.